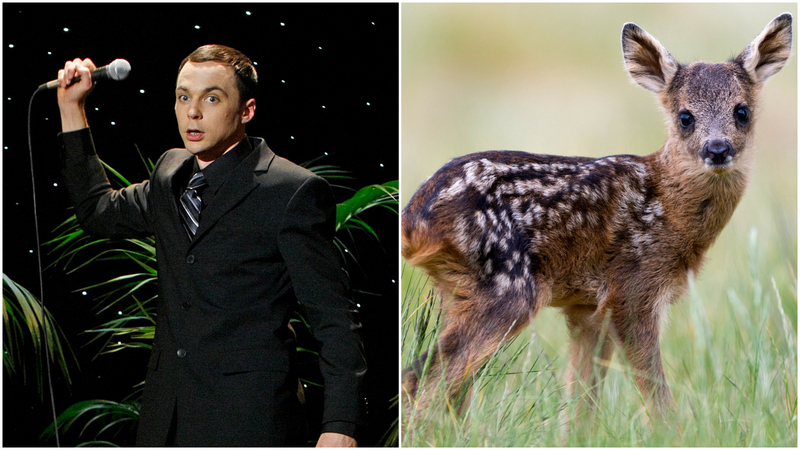 "Sheldon's like a baby deer. You gotta let him come to you." Why it's apropos: Much like a doe, Sheldon doesn't always know how to navigate through this wide-open pasture we call life. (But, heck, who does?) Sure, he's a brilliant physicist who knows which compounds work best together, but that doesn't mean he has his own life completely figured out, as noted by his mother with the above fawn-y comparison. Whether it's overcoming his fears of public speaking or learning to play nicely with others, Sheldon occasionally needs to be lured out of his comfort zone and introduced to bigger—and sometimes scarier—things... you know, like apologizing to people and learning how to be a better boyfriend.